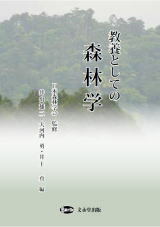 抄録: Studies on tree-growth responses to climatic variations in a subalpine ecoregion of the central Himalaya are limited. The Himalayan silver fir (Abies spectabilis (D. Don) Spach), a dominant tree species in subalpine forest on mesic north-facing slopes, was used to analyse the tree-growth‒climate relationship along an elevational gradient. Tree-growth shows sensitive responses to both growing-season and non-growing season temperature and precipitation variability at all elevations. Temperature has a strong influence at the boundaries (highest and lowest elevation) of the forest range. The uppermost tree-limit boundary is strongly associated with summer temperature, and the lowest forest boundary with winter temperature. Autumn temperatures (November, prior to growth year) influence tree-growth regardless of elevation. Premonsoon precipitation has a significant influence on growth only at intermediate elevations. As the study describes the response pattern from only a mesic area, more studies covering a range of climate regimes are required to see whether there is a clear pattern of species-specific growth responses to climate variables along an elevational gradient. 抄録: Based on organelle DNA phylogeographic analyses and ecological niche modeling (ENM), we investigated the range-shift history of the Japanese wing nut (Pterocarya rhoifolia) during the Quaternary climatic oscillations with particular emphasis on the Last Glacial Maximum (LGM). Phylogeographic patterns of this species were determined using 376 individuals from 53 populations for chloroplast DNA sequencing of three spacers. Spatial analysis of molecular variance (SAMOVA) revealed the current phylogeographic structure would be sculptured by multiple range shifts from each glacial refugium, which would have been repeated several times during the Quaternary climatic oscillations. High haplotype diversity and private haplotypes were detected in southwestern Japan, where wing nut is currently infrequent and found mainly in high mountains, whereas in northernmost Japan haplotype diversity was low though this plant is quite common at present. According to ecological niche modeling (ENM) approach, during the LGM the climatically suitable distribution areas were not recovered in northeastern Japan but in lowlands of southwestern Japan. Our combined results suggest that Japanese wing nut primarily persisted in the lowlands of southwestern Japan and coastlines below 36.5°N latitude during the LGM, having led to the post-glacial range expansion from the refugia in each area of southwestern and lower-latitudinal northeastern Japan, and to the wide-range recolonization from the southerly refugium/refugia to the north in northernmost Japan. The southwestern and coastal refugia have played a role in shaping the current haplotype diversity and phylogeographic structure, whereas some rear edge populations, harboring unique haplotypes, have been also maintained.